Gary Pepp, Senior Vice President, of Bailes & Associates, Inc. represented Dr. Keith Tokuhara, MD of Desert Vision Center in the purchase of a 3,077/sf medical condominium located at 35-900 Bob Hope Drive, Suite 155, Rancho Mirage, CA. Gary Pepp had represented Dr. Tokuhara in the purchase of the medical unit 175, He had decided to purchase the adjoining unit 155 for his surgical center. Escrow has been opened and is schedule to fund and close on January 4, 2019. The purchase price was $650,000.00 ($211.24/SF.) Financing was provided by West Valley National Bank in Phoenix AZ. Gary Pepp, Senior Vice President, of Bailes & Associates, Inc. represented Dr. Daniel Oh DVM in locating and negotiating his newly established Veterinary Clinic. The Clinic will be located at 7215 N. Van Nuys Blvd. Van Nuys which is within the Sherman Square Shopping Center. A 2,150 sf lease with a ten year term was negotiated. The Lease has a below-market starting rent. The base rent along with the proposed CAM charges are fixed for three years. The lease also includes building signage and an early lease termination due to death or permanent disability. The Lease was signed on October 22, 2018 with a Commencement Date of February 1, 2019. Gary Pepp, Senior Vice President, of Bailes & Associates, Inc. represented Newport Children’s Medical Group at Mission, Inc. in negotiating the termination of an existing lease while negotiating their relocation. 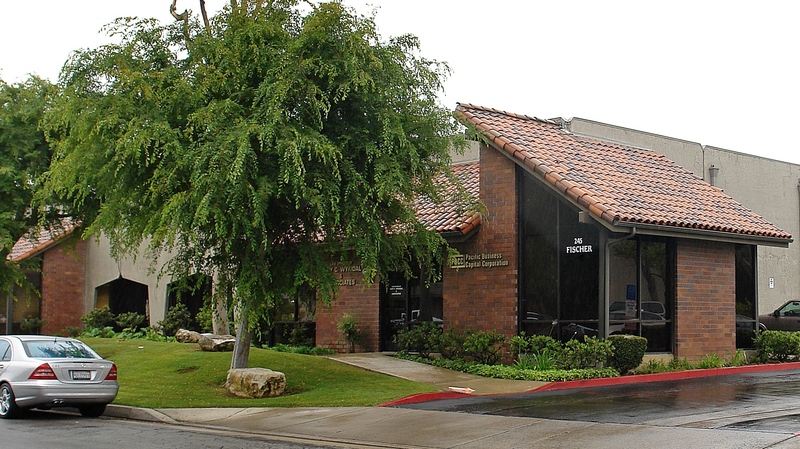 The medical group will be located at 26800 Crown Valley Ply., Suite 510, Mission Viejo, CA 92691. The lease was signed March 1, 2018 and the scheduled commencement date is October 1, 2018. Newport Children’s Medical Group has three other medical clinic locations, Huntington Beach, Laguna Beach and a Costa Mesa. Gary Pepp recently negotiated a five-year lease renewal on their office at 1640 Newport Blvd., Suite 210, Costa Mesa, CA. The sale closed August 8, 2018. The purchase price was $1,275,000 ($273.49/SF. Financing was provided by West Valley National Bank in Phoenix AZ. The space will be used by the buyer as his medical facility that will include his surgical center. Mark Coffey & Rob Rowan of Bailes & Associates, Inc. represented Goddard Holdings, LLC in the purchase of a 12,088 SF office building located at 300 Goddard Way, Irvine, CA. The sale close April 13, 2018 with purchase price of $3,989,000 ($330/SF). SBA financing provided through Chase Bank. The property is located in the Spectrum area of Irvine and will be used by the buyer for its corporate headquarters. Mark Coffey and Rob Rowan of Bailes & Associates, Inc. represented Michael Reeves, CEO of Corbin Reeves Construction in the purchase of a 7,700 SF office property located at 245 Fischer Avenue, Costa Mesa, CA. The sale closed in December. Corbin Reeves Construction (www.corbinreevesconstruction.com) is a leading luxury home builder in Southern California that was established in 2012. The property was purchased at substantially under market value though creative negotiating techniques. SBA financing was provided through Union Bank. Bailes & Associates proudly announces that Gary Pepp, Sr. Vice President has brokered the purchase of the office building at 930 Pine Avenue, Long Beach, CA. The office building will become the new medical offices of Karing Pediatrics Medical Group, Inc. Karing Pediatrics is a well- known and well established medical member of the Long Beach community with over 20 years of service to the area residents. The doctors of Karing Pediatrics Medical Group, Inc are executive directors of CHPAA. Cambodian Health Professionals Association of America (CHPAA) is a non-profit organization that provides free medical, dental, and surgical services to underserved people of Cambodia, and gives them much needed health education. Here in the United States, CHPAA participates in local health events, and awards generous scholarships to students who aspire to pursue a career in health field. Mark Coffey and Rob Rowan of the Bailes & Associates, Inc. Orange County office represented the buyers of four office condominium at 4340 Von Karman, Newport Beach, CA. 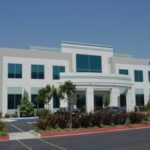 Two (2) units where purchased by individual investment groups: SC Investment Group and Newcastle Capital Group, LLC and two units were purchased by Wealth Ocean, Inc., a international trade services corporation based in Irvine, CA with offices in China. The transactions closed in Q4 2016 and Q1 2017. The total sales value was approximately $3M. 4340 Von Karman is a four-story Class A, LEED Gold Certified office building located with Koll Center Newport. The project is a development of Newport Beach-based Citivest, Inc. in partnership with Professional Real Estate Services, Inc. (PRES) and BitCentral. Gary Pepp, Senior Vice President, represented Bailes & Associates, Inc in the Exclusive Referral Agreement to provide all Real Estate Services required to the Cooperative of American Physicians, Inc. (CAP) and their 12,000 physicians in the State of California. CAP was established in 1975 by a group of physicians concerned about the spiraling cost of California medical malpractice coverage and who were galvanized to do something about it. The result was a unique medical malpractice liability cooperative whose core product provides medical professional liability protection to more than 12,000 of California’s finest physicians. In 2013, CAP organized CAP Assurance, a Risk Purchasing Group, to bring liability insurance coverage to member hospitals, health care facilities and large medical groups. 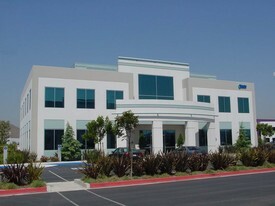 CAP’s headquarters are in Los Angeles with satellite offices in San Diego, Orange County, Sacramento and Palo Alto.